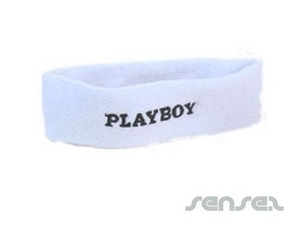 Nothing suitable in promotional sweatbands? How about custom branded belts, logo printed corporate sporting equipment or one of our promotional sporting goods? Inexpensive, with great exposure, branded sweatbands are cheap and a great branding tool for events and corporate promotions. Sweatbands or terry towel wristbands make great mail out pieces, as they are flat to mail and cost effective to use as a promotional give away. 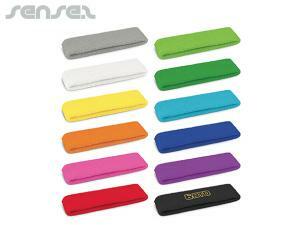 Sweatbands are a great promotional tool for sports events or other sponsored events for the outdoors. 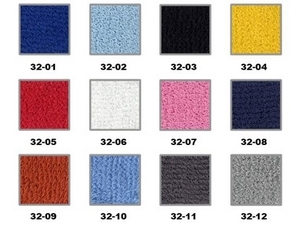 Choose from our innovative range of promotional terry towel wrist bands, terry towel sweatbands, promo sports bands all with your custom logo printed or embroidered on them. 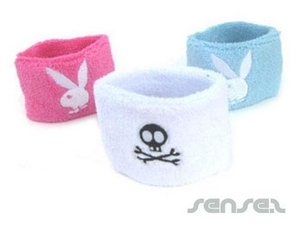 They make great sport accessories and are loved by all age groups. 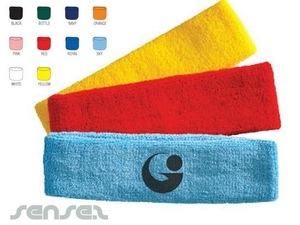 Sweatbands also make a great low impact environmental promotional product that is great to give away on green promotions or eco friendly events. 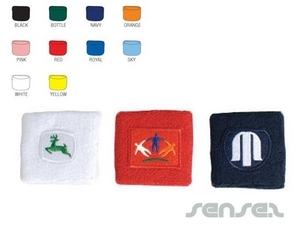 Terry towel sweatbands with custom logo print are fashionable and we can personalise them in any colour of your choice with your logo either embodied or printed on. The possibilities of branding are endless. 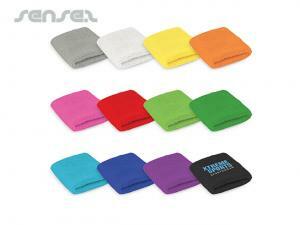 Custom branded promotional sweatbands are the perfect accessory for the gym or any sporting activity. 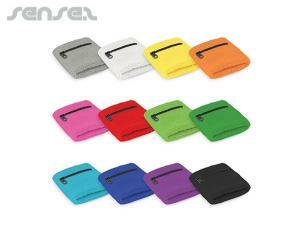 Custom promotional items add value to sport campaigns and cater for simply any target audience. Promo sweatbands and terry towel bands are a great way to give your brand constant awareness at sporting events, charity marathons and dancing functions. 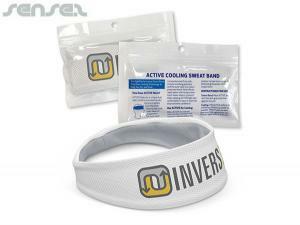 The flat packaging also makes these promotional sweatbands and terry towel bands ideal for promotional give away and direct mail or mail outs. 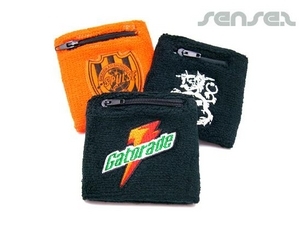 Custom branded promotional sweatbands and terry towel bands are novel and exciting, making them the perfect marketing tool to promote your business.